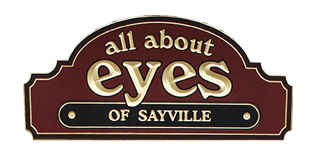 All About Eyes of Sayville has budget-friendly, designer frames and eyeglasses for the whole family. Peruse our wide selection. Work with our optician, Bill Brandwein, to find optical products that suit your family's needs. You'll find a pair of glasses that fit your style and budget with quality. We offer well-known brands for adults and children!